Jewish Agency chairman says MK Ayman Odeh is trying to score "cheap political points" at the expense of members of his community. Jewish Agency chairman Natan Sharansky blasted MK Ayman Odeh, head of the Arab Joint List, who last week refused to address a meeting of the Conference of Presidents of Major American Jewish Organizations, because it was held at premises shared by the Jewish Agency for Israel and other “Zionist entities”. 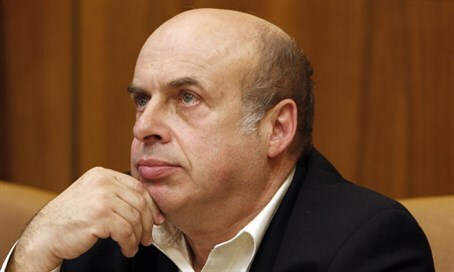 "It is unfortunate that members of Knesset from the Joint List are more interested in scoring cheap and expedient political points than they are in advancing the wellbeing of their communities,” Sharansky said in a statement on Friday. "Along with our core mission of ingathering the exiles of the Jewish people via Aliyah, The Jewish Agency is proud to serve all the citizens of Israel, regardless of religion or ethnicity, which we view as an integral part of our Zionist vision,” he continued. "Thousands of Arab Israeli families enjoy a range of Jewish Agency programs, including our Youth Futures mentorship program, which has placed a particular emphasis on schoolchildren in Israel's Arab community; Masa Israel Journey and Project TEN, which run programs focused on Arab-Jewish coexistence and on serving underprivileged Arab citizens of Israel; and an innovative Jewish Agency high school opened just this year for Bedouin youth in the Negev. "Thousands of Arab Israelis have already found their way to The Jewish Agency's programs and to the dedicated professionals and volunteers who run them. It is high time MK Odeh and his colleagues did the same," concluded Sharansky. Odeh has made headlines in Israel in recent months, such as when he demanded in October that Attorney General Yehuda Weinstein prosecute Prime Minister Binyamin Netanyahu for defaming his party and inciting violence against Arabs. In a letter to Weinstein, Odeh claimed Netanyahu had invented a “blood libel” against Arabs when he characterized the Balad faction as "communists with a trail of Islamic State flags in their wake." He has also refused to condemn Palestinian Arab rock attacks against Israel, saying that "there is no doubt that the occupied nation has a right to fight the occupation within the 1967 borders." In another incident, Odeh accused Netanyahu of being "Israel's chief agitator."